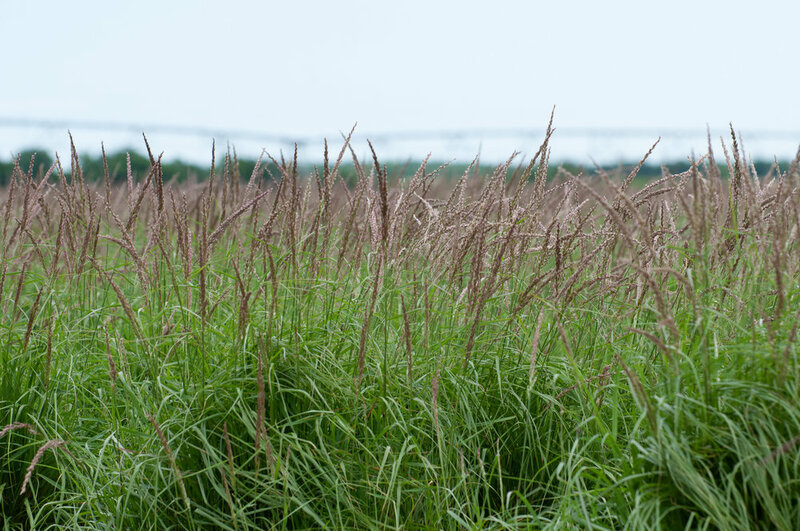 We produce our Texas Native seed right here in Central Texas. Here are some select shots from the field in April. Oso Halls Panicum is recommended for use in range planting, upland wildlife use, and highway rights-of-way. A close up of the seed heads of Osos Halls Panicum. Venado Awnless Sunflower Bush is great for attracting beneficial insects, and white-tailed deer sometimes consume the leaves. Two different False Rhodesgrasses, Kinney and Hidalgo. Hidalgo is the more fanned out seed head and Kinney is the lighter colored, paintbrush shaped one. Both are used in range restoration plantings. Lavaca Canada Wildrye is a good cool season forage for livestock and deer. It also provides nesting cover for birds and fawns. Maverick Pink Pappusgrass and Mariah Hooded Windmillgrass. Maverick Pink Pappusgrall has the tall slender seed heads and Mariah has the shorter, multi spiked seed heads. Maverick Pink Pappusgrass is used for livestock forage, wildlife cover, retired cropland restoration, and ornamental plantings due to its deep green color with pink hued seedheads. Here you can see the showy pink seed heads. As the bluebonnet season begins to wane, the bluebonnet seed production begins. Here the seed pods are maturing and will be harvested soon. 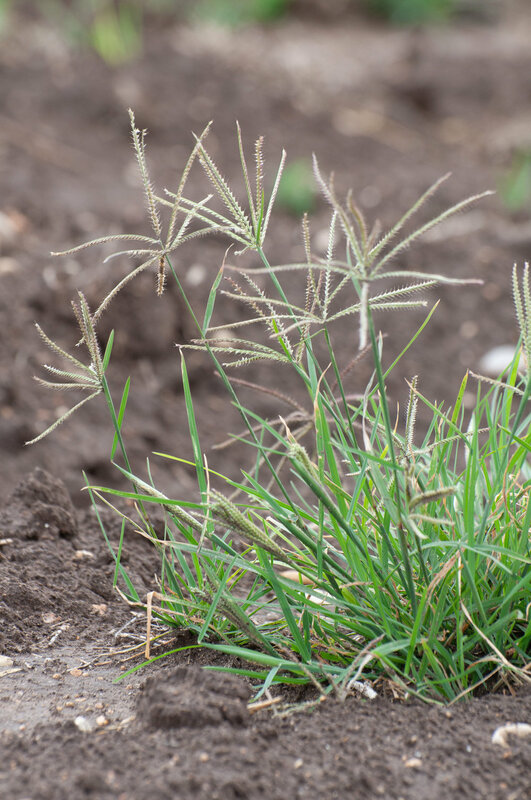 South Texas Sideoats Grama’s wide distribution and value as livestock forage make it an important pasture grass statewide. Welder Shortspike Windmillgrass is frequently used in conservation plantings on roadsides, filter strips, riparian buffs, and more. Rio Grande Prairie Acacia is semi-woody legume, the plant is an excellent source of forage for both livestock and wildlife, also providing cover for deer and upland birds.